About time, my Sig MCX loves these. Super fast shipping/delivery. Will absolutely be ordering more. I'm not sure if all Gen3 PMAG's are like this, or just the 300 blackout model. Compared to my Gen2 5.56's the polymer is thinner and cheaper feeling. The mold seams are raw, the feed lips are sharp edged and not rounded like the Gen2. The magazine rattles excessively internally. On the plus side, the internal ribs keep the 300 blackout rounds in place perfectly compared to a 5.56 mag. But the quality of this unit seems more akin to airsoft polymers than a classic PMAG. Bottom line is it works, but if this would have been my first PMAG I would have steered clear of all things Magpul. I had high hope for these, but am sorely disappointed, the magazine rattles, even worse when it's loaded, making it sound like a cheap chinese magazine, it's not a fluke as I bought 8 of them and they are all the same. I have numerous Gen2 MOE and those are perfect in every way. Not sure if the other guys just got bad mags but mine have no issues. Light weight, hold the rounds perfectly, and feed excellently. Mags work great for my 300 blackout pistol!. I lost my first shipment and they replaced it asap thank you so much! I am really happy with my 300 blk magazines. The magazines are light weight and has a great texture. 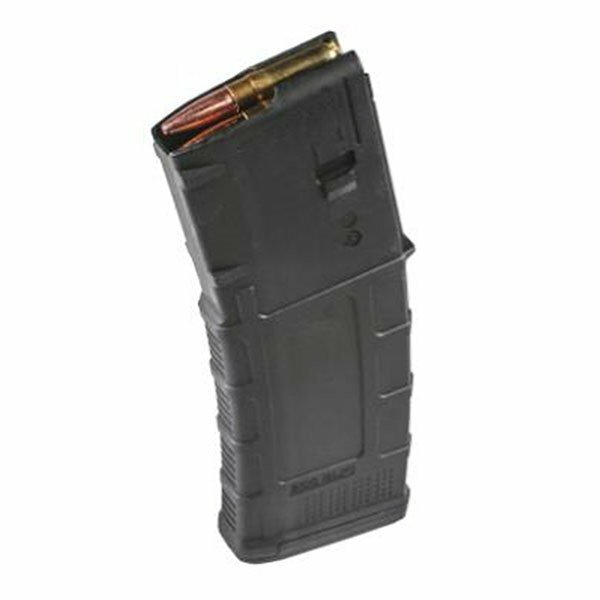 I've used many magpul magazines in the past and I would say these are the same quality as the other 5.56 magazines. Many comments suggest poor construction and rattling of the bullets but that's because of how the bullet is constructed. You can use a 300blk bullet in a 5.56 magazine but the bullets will kind of bind to the side of the original magpul 5.56 magazine. For them to flow freely through, the reinforced area where the 5.56 would easily slide up was shaved down to adapted to the 300 blk. The reason why they might feel lighter and poor quality is that material was taken off so the 300 blk would not bind to the walls but that does not effect the functionality or the reliability of the magazine. If you are still skeptical about them, buy 1 and compare why these feel different from the original 5.56; and the reason is 5.56 is not 7.62. The 7.62 is larger so it needs more space. Yes, they rattle but that's not something I worry about and if you have only 5 rounds in the magazine, it doesn't rattle. Even if you're out hunting at night, why would you load all 30 rounds? I would say one good shot or two would do the trick but if you need more than that, don't go hunting.